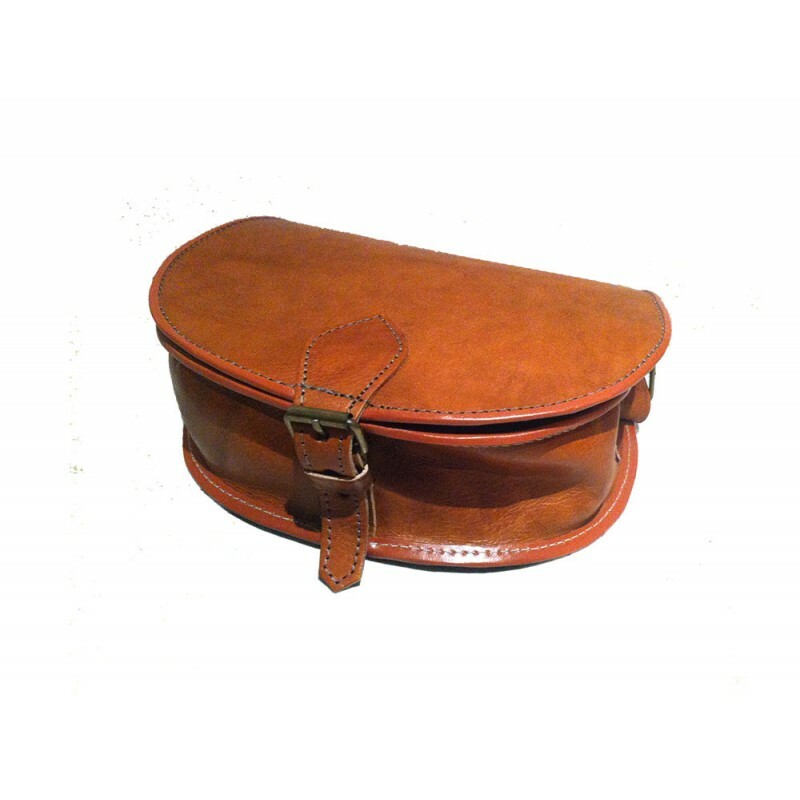 This practical day bag has an interior fabric lined pocket and a leather pocket with a press stud fastener on the front under the flap. 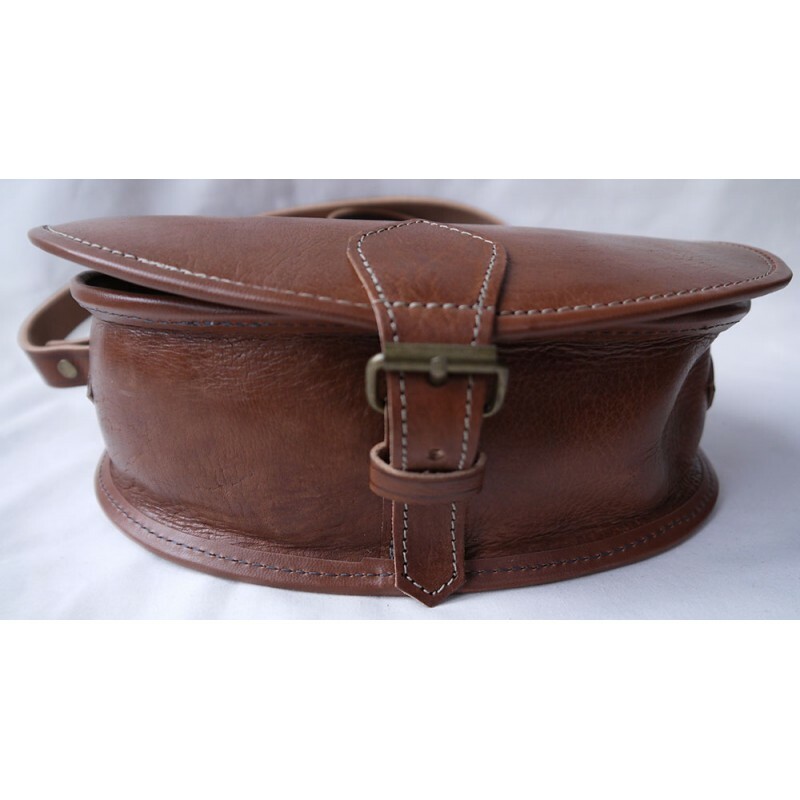 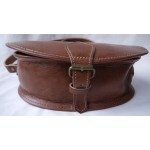 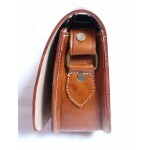 The flap fastens with a metal buckle. 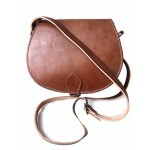 As each bag is unique, the actual shade supplied may be slightly lighter or darker than the photograph. 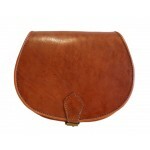 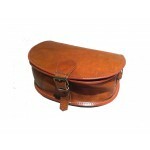 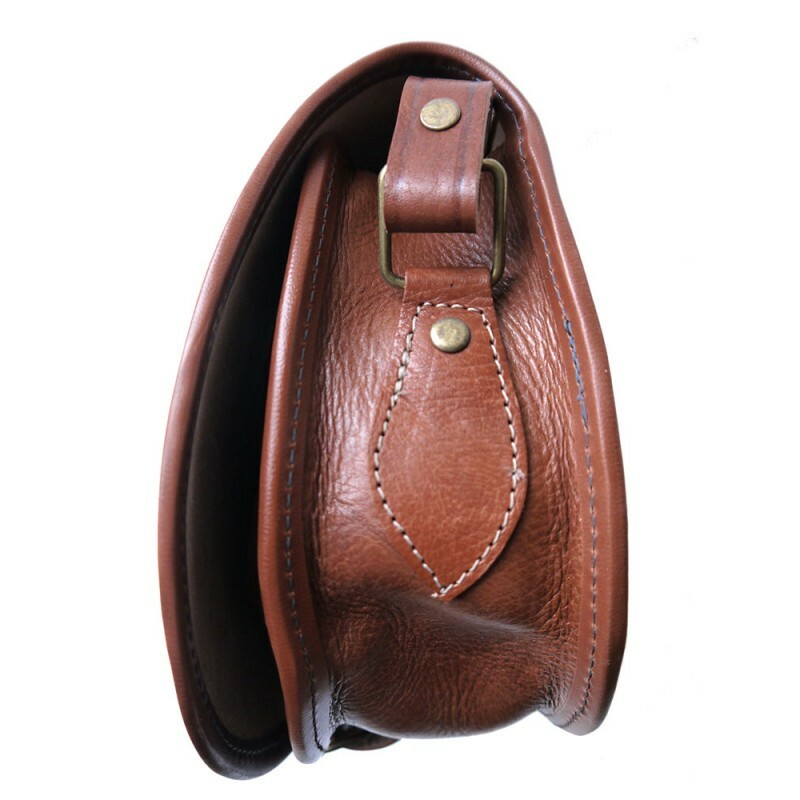 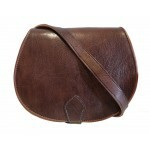 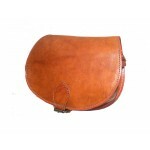 This rustic style bag is genuine Moroccan leather, thick and hard-wearing, and has been tanned the traditional way using organic tanning agents, leaving the natural markings of the hide visible and adding to the character and individuality of the bag.No chemicals have been used to treat the leather, so there may be a leather smell when the bag is new, which fades with use. Leather is a porous material and will become more supple with use as it absorbs the natural oils from your hands, developing a darker sheen. 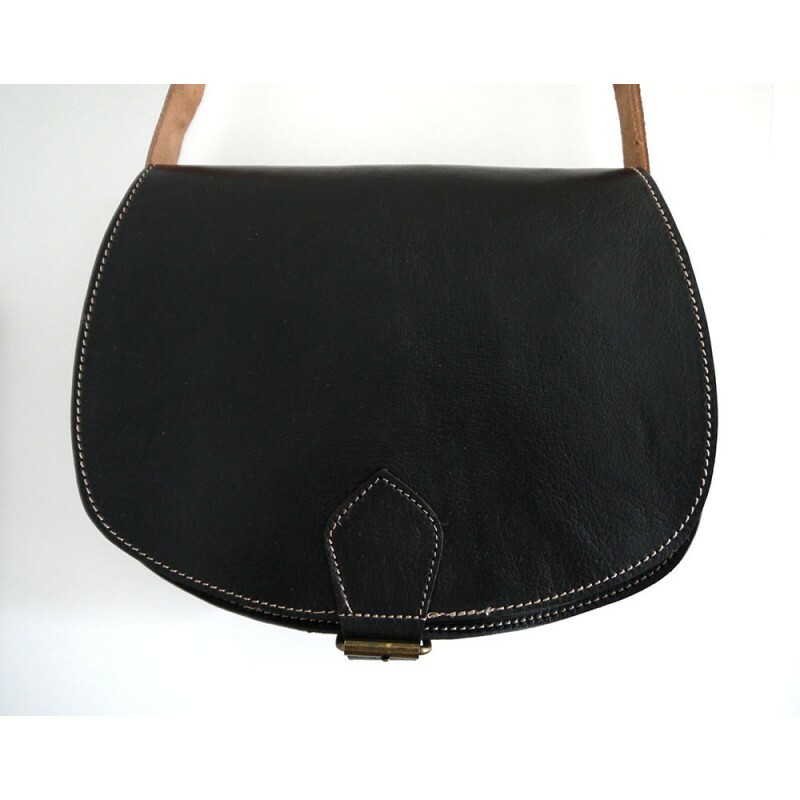 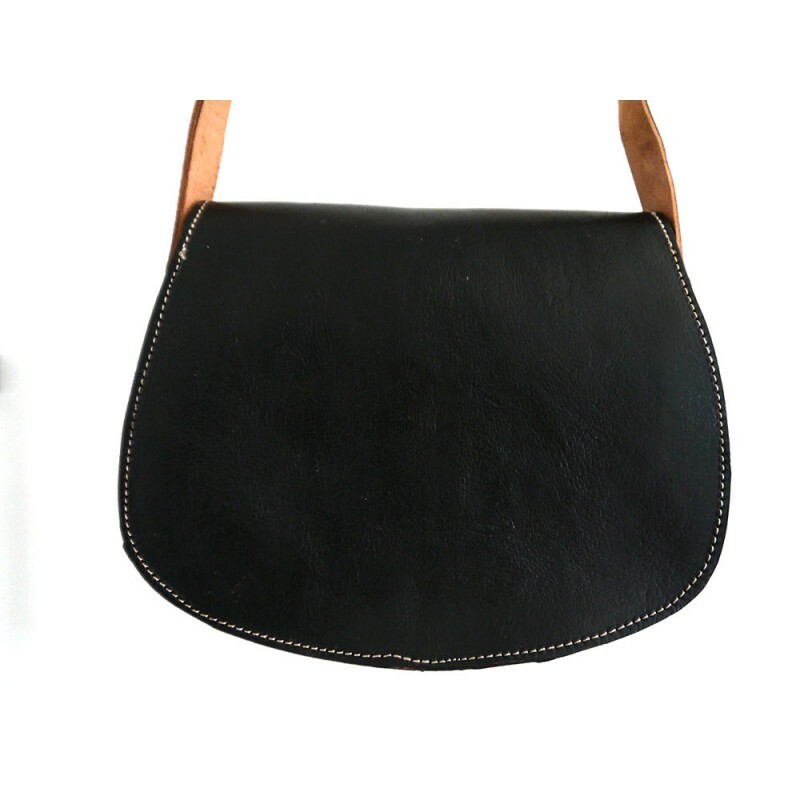 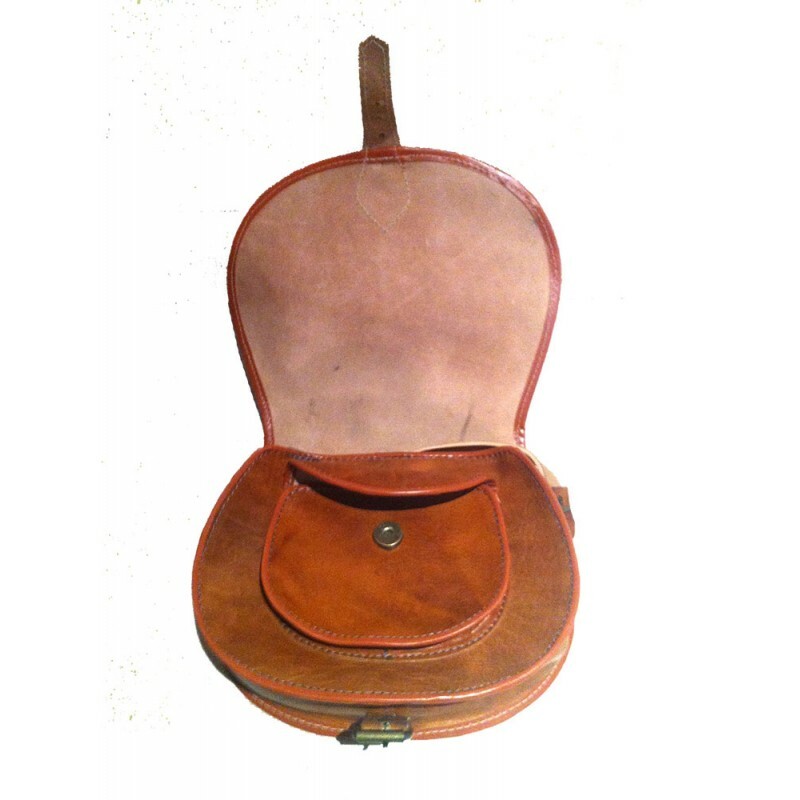 These bags are handmade for us in a small workshop in Fez, Morocco and, as is usual with handmade items, there may be small imperfections and irregularities in the finish, which do not constitute faults. 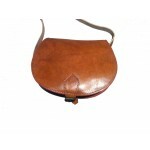 There may also be some dye marks on the underside of any unlined leather. 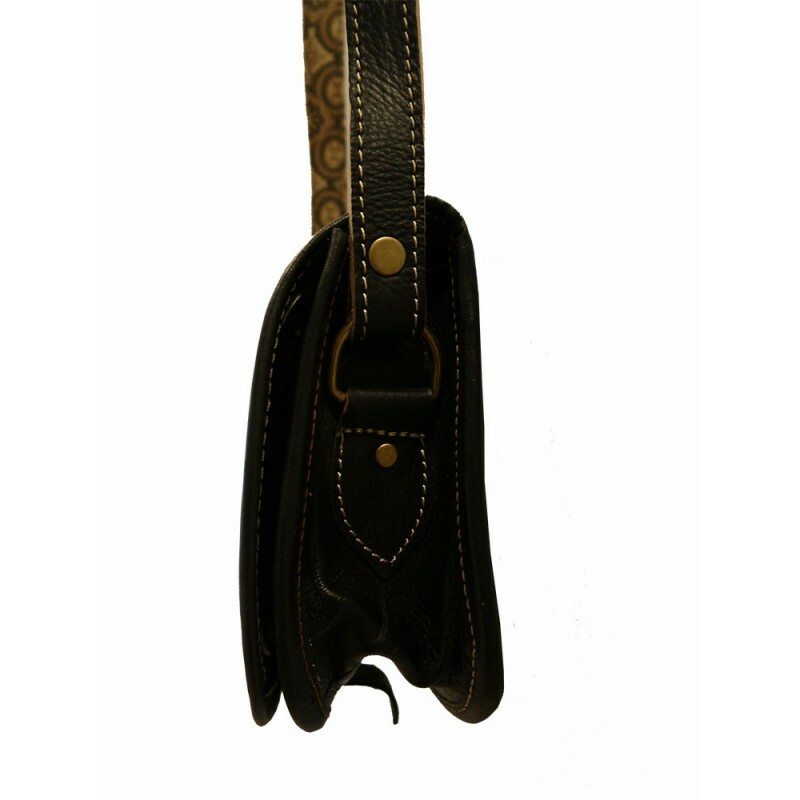 Strap length varies from 125cm to 138cm max adjustable. 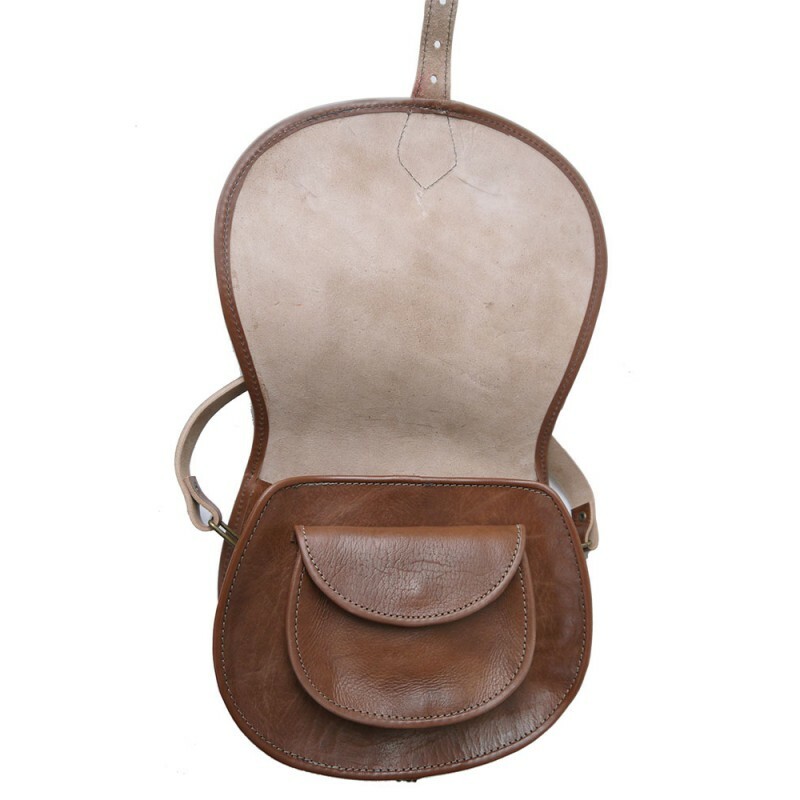 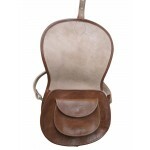 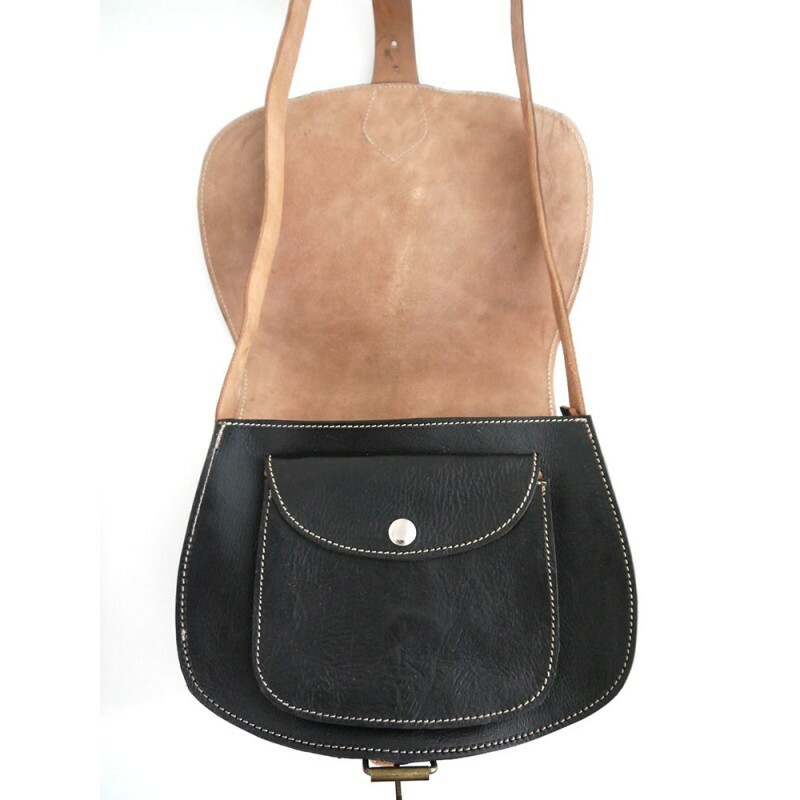 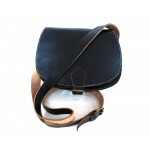 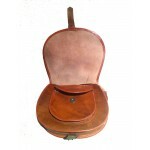 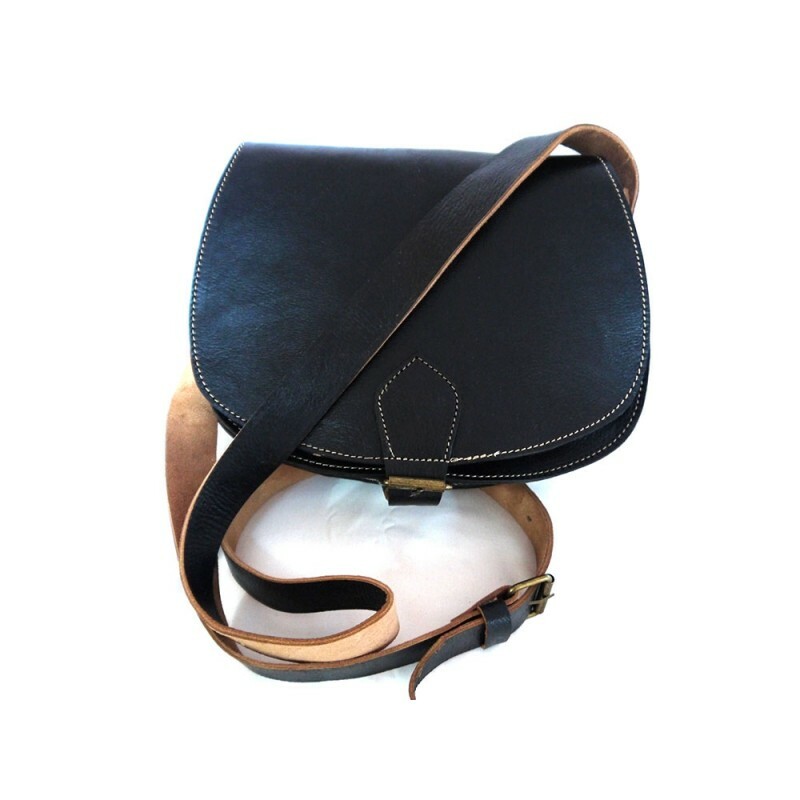 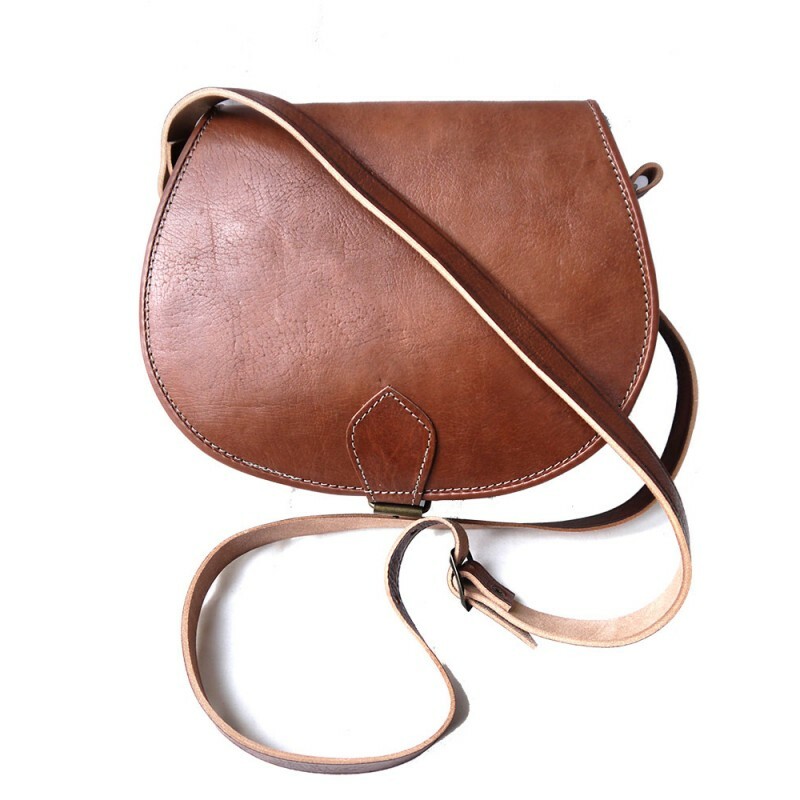 If you need a particular strap length, please contact us and we will check our stock to find a suitable bag. 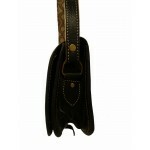 Otherwise the strap length will be chosen at random and the longer length is not guaranteed.